Reverend Junious McArthur Debnam, son of the late Junious Monroe and the late Mary Eliza Crews Debnam, was born on May 5, 1944. He departed this life at home in the care of his “Baby Girl” on Tuesday, January 15, 2019. Rev. Debnam graduated from Riverside High School in Louisburg, North Carolina in 1964 and Wake Tech Community College in Raleigh, North Carolina in 1969. He also attended Shaw Divinity School in 1996. Rev. Debnam was the first ordained minister under the Franklin County Missionary Baptist Association. 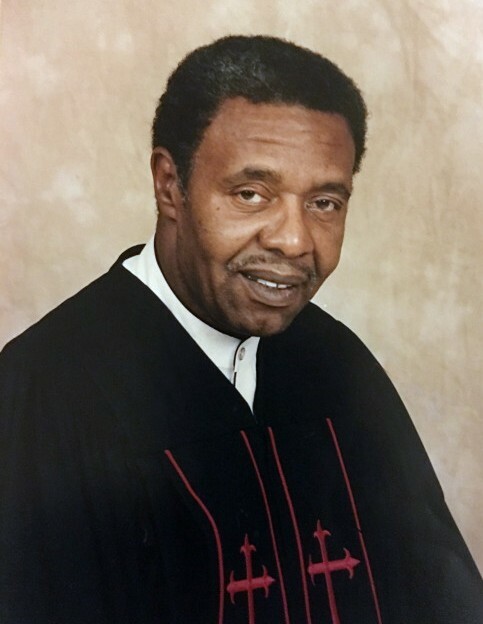 He served as a Trustee, Deacon and Associate Minister of Old Liberty Baptist Church. He served as Pastor to Williams Grove Baptist Church in Raleigh, North Carolina and St. Stephen Missionary Baptist Church in Inez, North Carolina. Rev. Debnam became a Master Mechanic for the Heavy Equipment Department and later retired as a supervisor for the Vehicle Fleet Services with the City of Raleigh in 2004. His specialty was rebuilding transmissions. He was preceded in death by his wife of almost fifty years, First Lady Peggie Crudup Debnam. He leaves to cherish his memories: four daughters, Sheila D. Alston (Anthony) of Louisburg, NC, Jean J. Debnam of Wake Forest, NC, Jacqueline D. Rogers (James) of Raleigh, NC and Carmelia A. Debnam of Louisburg, NC; one son, Julius Romeo Debnam (Edith) of Youngsville, NC; two sisters, Hattie B. Goode of Raleigh, NC and Gladys M. Debnam of Knightdale, NC; two sisters-in-law, Cora Williams and Margaret Green (Waverly) both of New Jersey; one paternal uncle, Dr. George C. Debnam of Raleigh, NC; eleven grandchildren, Marque Debnam (Tiffany), Anthony Jefferson, Lamaar Alston (Keisha), Dominic Alston, Aaron Alston, Erick Allen, Tyrone Crudup, Jalissa Debnam, Kristen Allen, Julius Debnam and Jalin Debnam; twelve great grandchildren; a special friend, Margaret Ramsey of Raleigh, NC; a host of nieces, nephews, many other relatives and friends.